Microsoft began their presentation at this year’s E3 2017 convention by diving right into their much-hyped “most powerful console ever,” previously code named Project Scorpio. 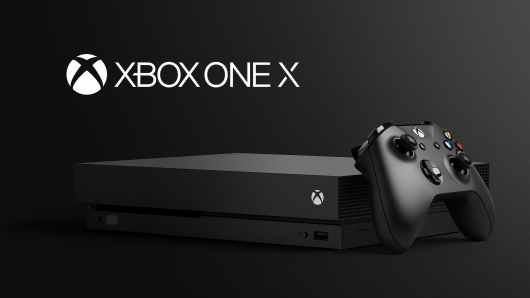 The console’s official name has been revealed, and we now know that it will be called the Xbox One X. On top of that Microsoft revealed full specs for the console, that all Xbox One games will be playable on it from the start, and that it would actually be the smallest Xbox console ever made, believe it or not. You can see a video of the specs being announced, as well as a trailer for the new console below. UPDATE: It wasn’t revealed during Microsoft’s presentation interestingly enough, but a price for the Xbox One X has been confirmed as well. The system will cost $499 to begin with, which is pretty costly for a console and likely why they didn’t share it during the show. Whether the coin will be worth it or not to some gamers will largely depend on if it’s as powerful as they say and if it runs as well as they’re promising it will. Time will tell on that one. We’ll find out when the Xbox One X hits stores this holiday season on November 7th.